My witchery is a store created by artist Katrin Lanfire, based in Kiev, Ukraine. It ships worldwide. 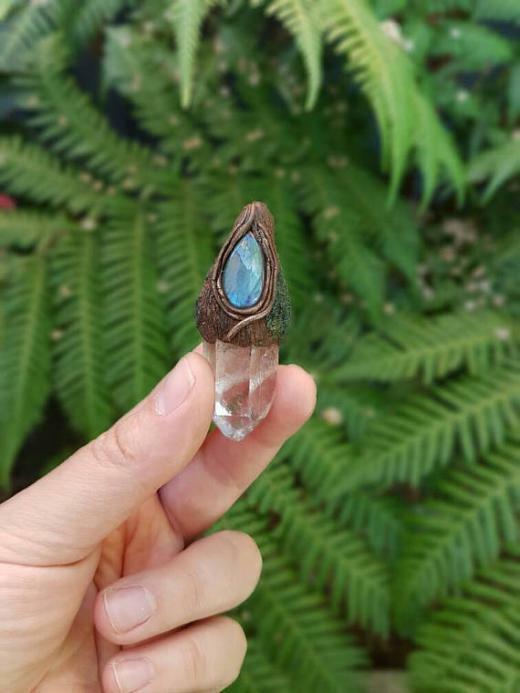 She designs and create accessories in gothic, witchy and fantasy styles, combining different materials both old and new, like polymer clay, leather, fabrics. 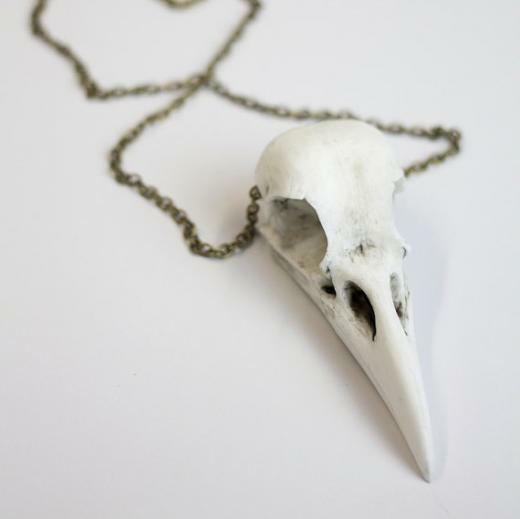 She often embellishes the pieces with bones, feathers and beads. 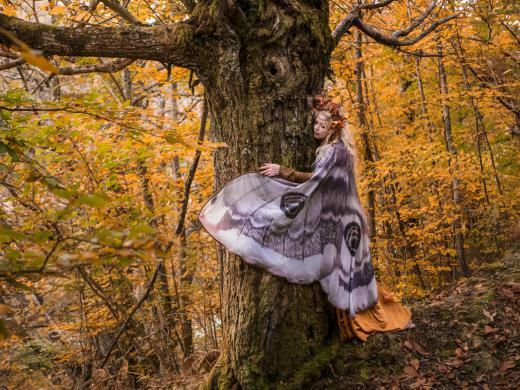 Her designs are designed by historical fashion, science fiction, mythology and macabre fairy-tales. 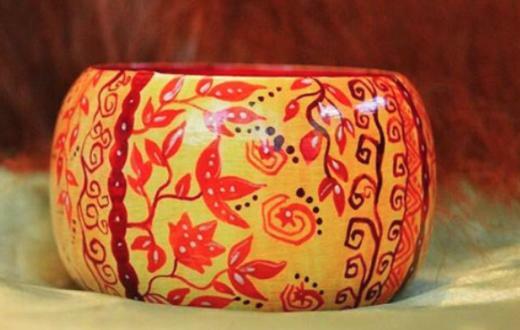 Some items are ready to ship and others made to order, and for these latest you have to consider the time it requires to be created. The price ranges from 20 Eur up to 300 Euros for really well crafted massive and eye-catching creations that are perfect for cosplay, photoshoots, haute couture fashion shows and all sort of events and conventions. Horns, wings, and seasonal inspired shapes...from mystical to tribal. From gothic black to wintry white. Don´t forget to check their network for past works and amazing inspiring photos wearing the pieces. 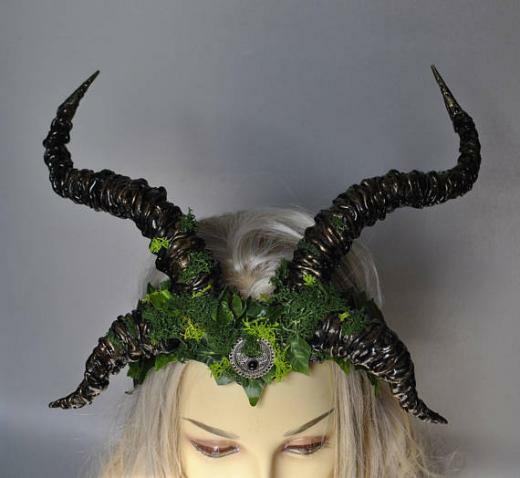 Horned headpiece mounted on a flexible hairband, comfortable to wear and accented with moth. 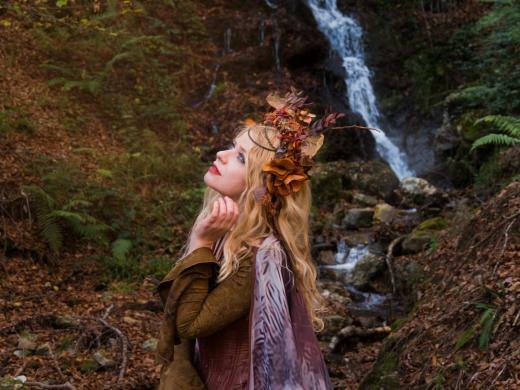 Perfect for "forest dwellers"
Autumn is my favourite season. It brings so much beauty, how the leaves shift in a multicoloured show. 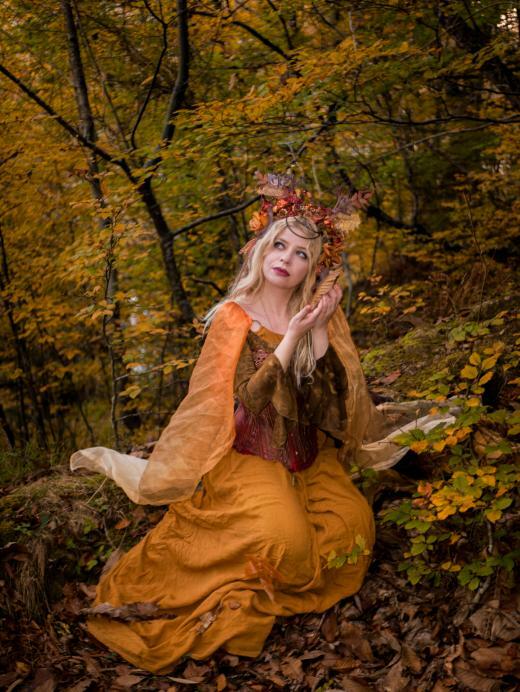 So here my fantasy photoshoots of this year and some indications of how I made the garments, outfits I wear. 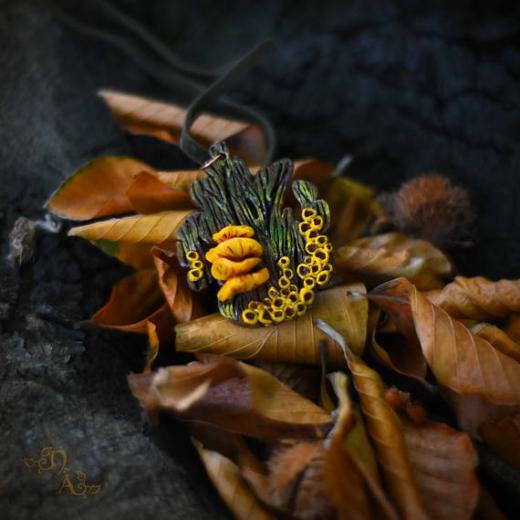 Autumn leaves were sewn to a basic thrifted golden dress. 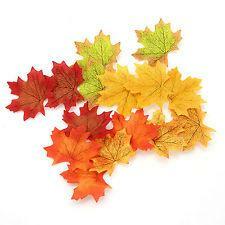 You can glue them or attach to your skirt and make autumn ornaments. I felt tempted to glue them also into the entire bodice but I finally went for sparse leaves here and there. Above: autumn leaves. These are the ones I used to attach to the dress. Also great to glue together for headpieces, gloves or other autumn ornaments. 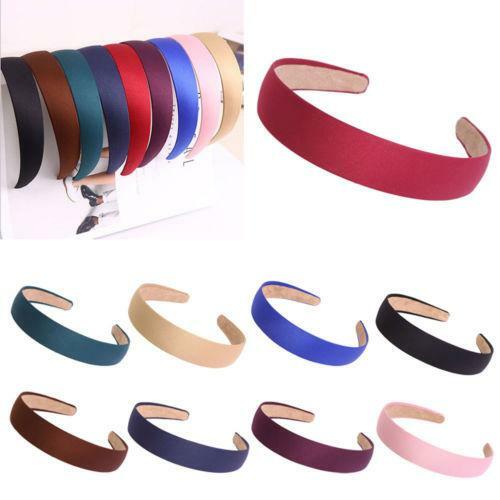 They are sold in different colours. Moth wings are made by my friends from El Costurero Real. Above. 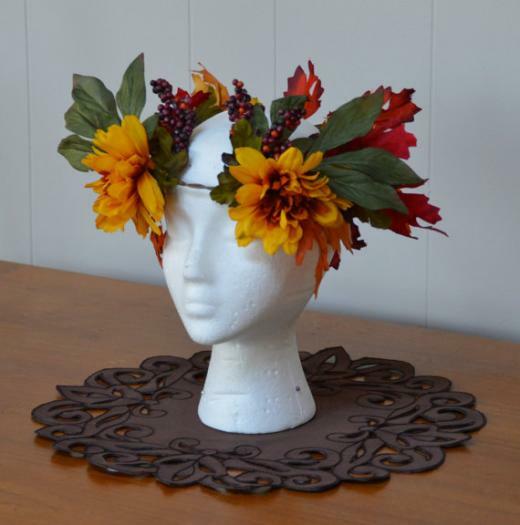 Autumn headpiece wreath crown made by myself. 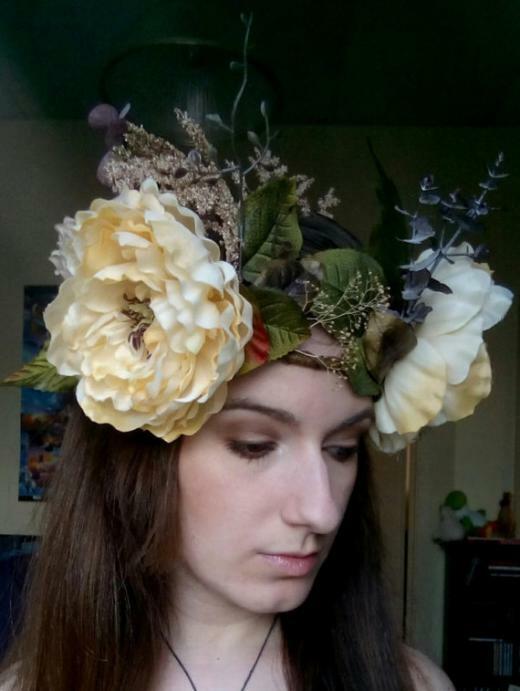 I attached fake flowers to a headband with hot glue, added pinecones, acorns, branches and dried mushrooms I foraged from the forest. As a base for the crown I use a wide sturdy headband like this one, and I start to build up glueing the elements. For the bodice I simply purchased an inexpensive corset from ebay and painted with spray paint, I also used the hot glue gun to add veins to the corset before painting it with brass and red paint spray. I added a leaf trim also painted in brass paint spray. The winter wool pointy hat purchased from ebay... plenty of colours but I found brown perfect to portray an "acorn head" and I also bought it in red as it was cute for elves or gnomes. My scarf is hand knitted (Autumn and winter is perfect for knitting). 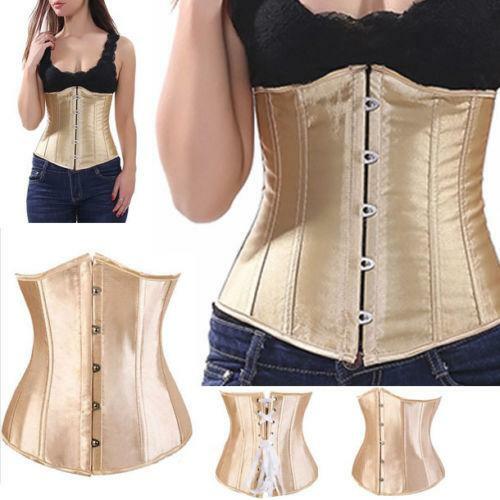 The golden cincher is also from ebay. It´s not very shiny and I found the colour to be very lovely and matching my other "autumn layers"
The long brown skirt was thrifted and the overskirt is simply a square of cotton fabric. :) falling in handkerchief fashion. 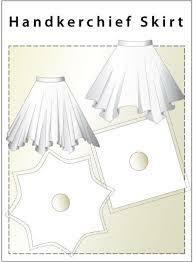 You can do pixie skirts so easily out of any square fabric leftovers. So farewell Autumn, you brought so much beauty, but about to shift colours into pure white snowy winter. 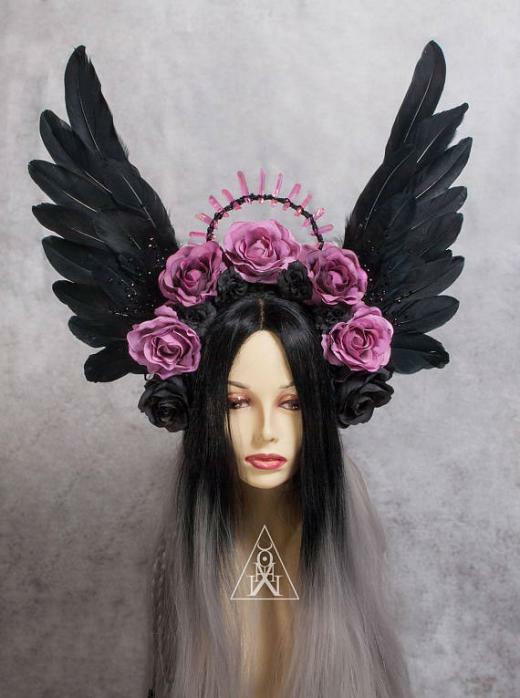 Based in Conneticut, United States, Mermaid Sanctuary Designs is a store specialised in one of a kind fantasy headpieces and accessories. 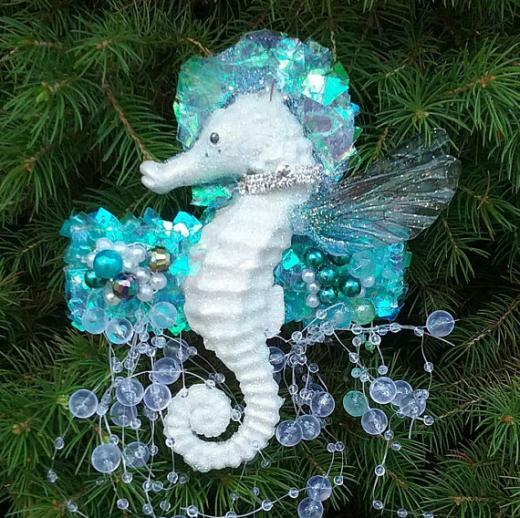 From Fairies to Unicorns, they are colourful, sparkly and with obvious love for details. 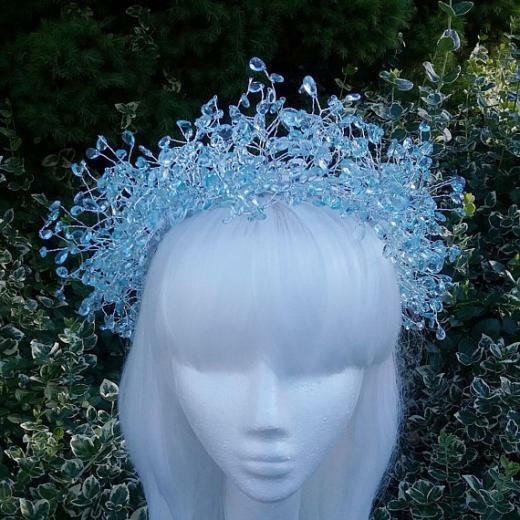 Run by Judy Bielik, who self taught to make them as a result for her love of all things fantasy designing and creating high quality, beautiful, headpieces and accessories. There is a very "elemental" quality in the items, water, mermaids, forestdwellers, many accessories have that key "element" shining through, in the choice of materials, motifs and colour palette. 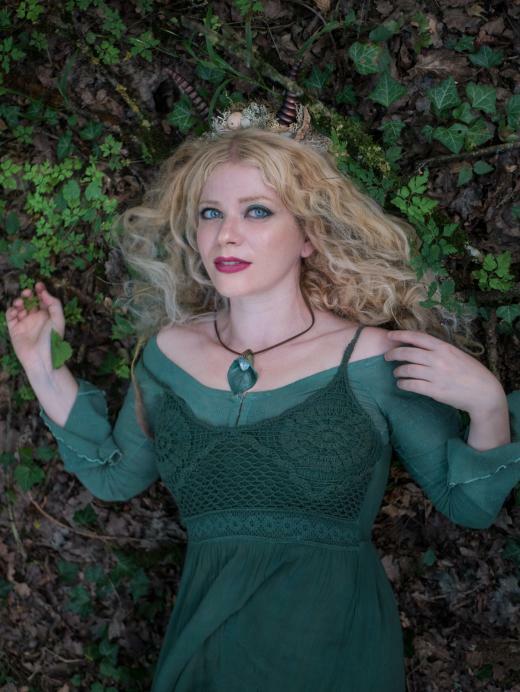 :) Sometimes even combining them, see for example this glorious fairy/nymph/mermaid (air, water and earth combined), the entire outfit/accessories made by mermaid sanctuary themselves. The store features a collection of unique headpieces and garlands as well as some fae-inspired accessories like hair barrettes, pearl hair strands, butterfly hairpins (and sometimes even styling wigs and hair extensions) :) I personally, like to add some "fairy" details to my daily wear, so some of the subtle accessories are really cute to go for. And with it, our mermaid-selves long for the sea... time for some "mermaid-wear". Mayrafabuleux is store run by Mayra Mendoza and based in California, specialized in rave and mermaid bras. 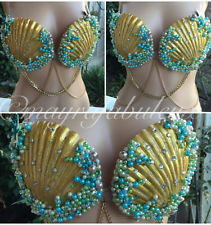 Not only for bellydancers and rock stars, Mayrafabuleux clothing also include some fantasy inspired sparkly bras are made to order in different sizes, and some (the ones we focus more on this featurette) have shells and sea-inspired fantasy elements, making them a lovely mermaid top. In all honestly I´d go to the beach with one of this, I find standard swimsuits and bikinis so boring :) They have an ebay store of the same name. It is recommended to visit their official website to see a larger selection of works. The official website is.mayrafabuleux.com for all of our selection of rave bra, rave outfits, theme wear, dance wear, rave wear, festival attire. All items are made to your own size / measurements: we can make any size and we ship worldwide. Take into account that most items are made to order and thus for undies as bras and bottoms no refunds are accepted. 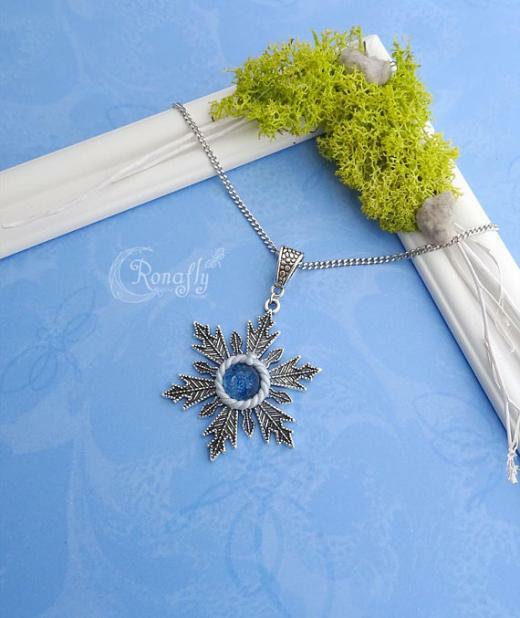 There are plenty of examples to choose from as well as a rather clear custom order form, international buyers take into account possible customs tax fees, time to be made and the no-refund policy of the store. 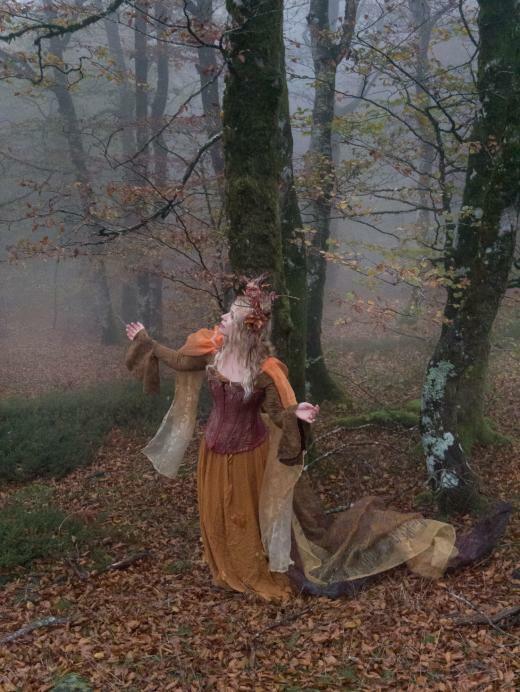 Tinkerkast is a store that offer different kind of wearable handmade props. 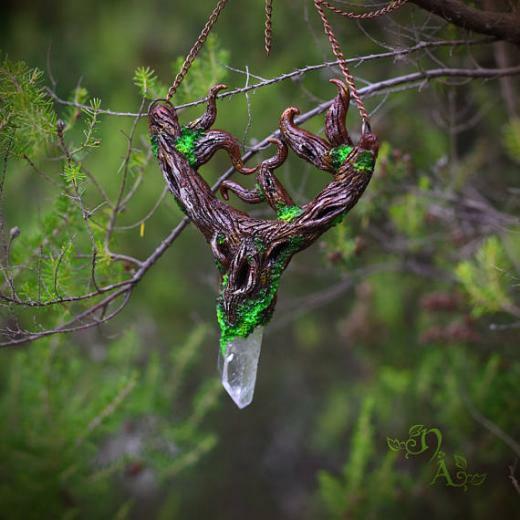 Based in Germany and run by Daniel Struzyna, the shop offers a collection of horns, neckchains with skull and bones replicas, horns and other fantasy items. I somehow randomly found the store doing a google search on "mermaid" apparel, I am somehow inclined to buy a tail when I can for a music video, so I do the search from time to time. 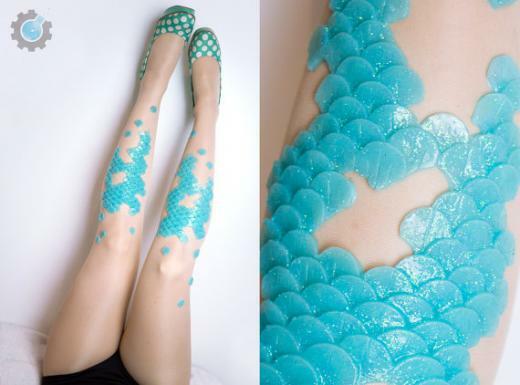 And then I found a picture of mermaid stockings with scattered scales over sheer unnoticeable mesh... it looks really ethereal, and had to search. Though the store have now a scarce number of items listed, I there is a button for "CUSTOM ORDER" and mermaid stockings are still in the description of items offered. 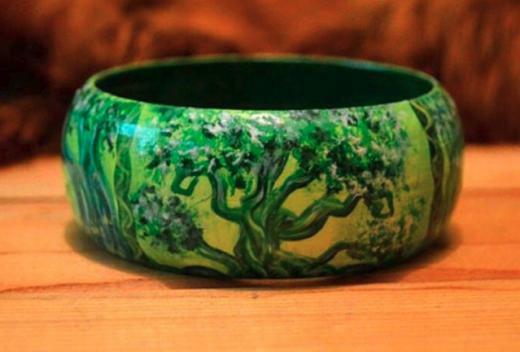 But if you check the store network (facebook and instagram) you will find also scaly cuffs. 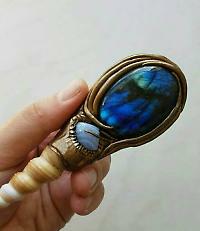 My favourite items maybe are the amazing dragon horns, :) Though I found them on a "mermaid" search, I was really impressed by them, bookmarked! Here a snippet of some of the items you can comission to the store. 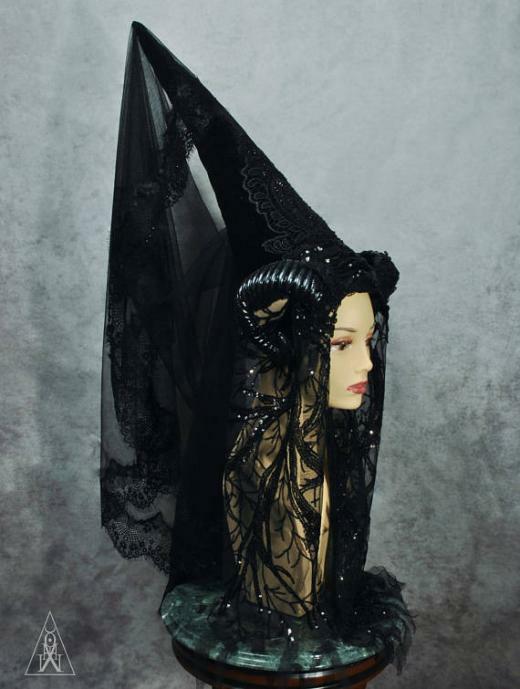 But if you are into more "strega" wicca fashion, you will find also some treasures at the store. web maintained by visual artist and performer, singer-composer Priscilla Hernandez.